A maintenance worker found the woman's body in the 7500 block of New Hampshire Avenue, Takoma Park police said. 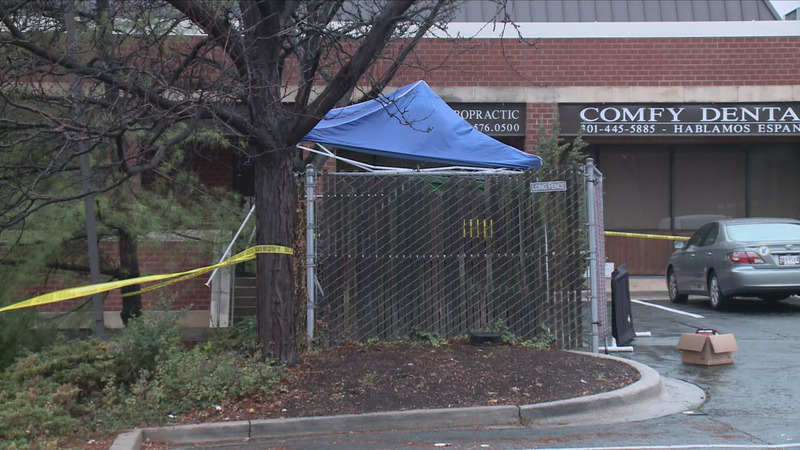 WUSA9 has learned that the woman worked at the law offices of Carmyn Lombardo at Hampshire Park strip mall. The body was found near dumpsters in the shopping center parking lot. Dwayne Douglas, a maintenance worker at the shopping center, said he was the first person on property when he started working at 7:00 a.m.
"I went to go throw some trash in the dumpster, open the dumpster up and she was right there," recalled Douglas after finding the woman's body, badly beaten beside the dumpsters. 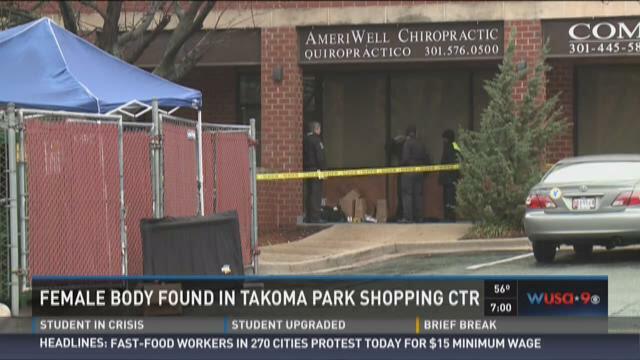 Takoma Park police say there was deadly trauma to the woman's upper body. Douglas told WUSA9's Mola Lenghi that he recognized her. "When I first saw her I didn't really know who it was, but once I saw her hair I said, 'OK, I know who that is,'" said Douglas. Detectives focused some of their investigation on a lobby area shared by several offices located at the shopping center, where Douglas said the woman had been an employee for about five or six years. WUSA9 contacted Carmyn Lombardo but he had no comment about the incident. Douglas said the woman did not seem to have any problems with anyone at the shopping center. "She came in like everybody else around here. She's a nice person," he said.